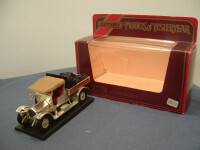 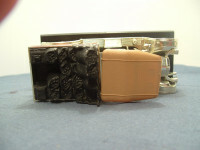 This collectible is the Matchbox Souvenirs 206 - Single Pen Stand with Crossley Coal Cart in metal and simulated onyx. 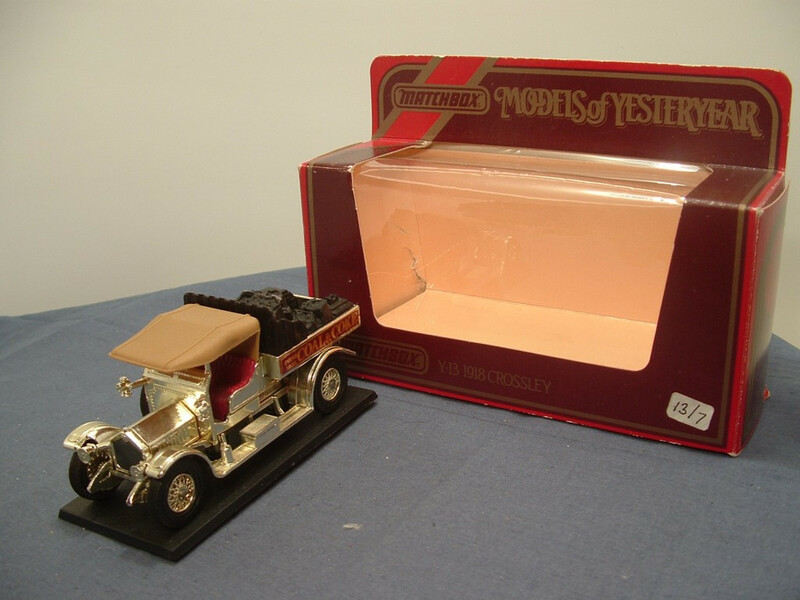 The stand is missing from this item but should be a slightly moveable pen holder in gold with Black desk pen and the simulated onyx stand should be brownish. 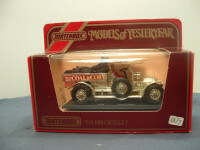 This model sits on the original black plastic mounting base which has silver lettering reading "1918 Crossley". 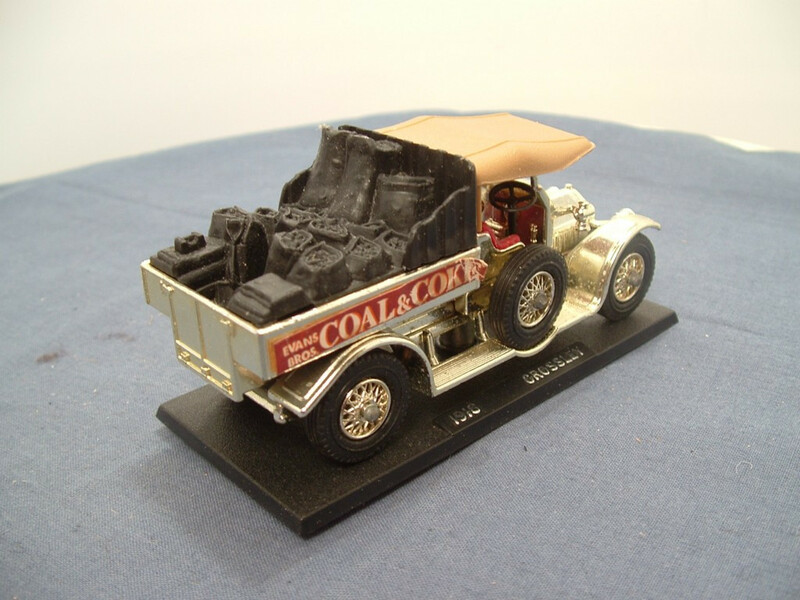 The model is a mixture of Crossley parts - it has the RAF Tender pale tan cab tilt, type B baseplate and appears to have a type B rear body with 2 cleats (that can be seen under the lifting driver's side "Coal & Coke" label), type B front springs and mudguards, Dark Dull red seats and black radiator grille and sack load. The body is plated with silver chrome and the hubs are 24 spoke chrome issues making it possibly an issue 7 RAF casting. 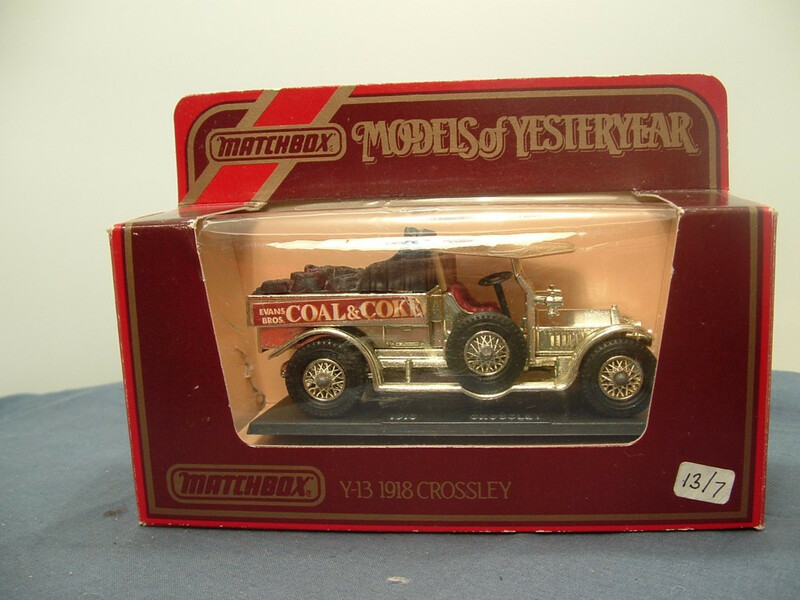 The item comes without the packaging of the time, but was probably packed in an orange, brown or purple cardboard window box, marked "Souvenirs by Matchbox or the later white windows box marked "Gifts by Lesney". 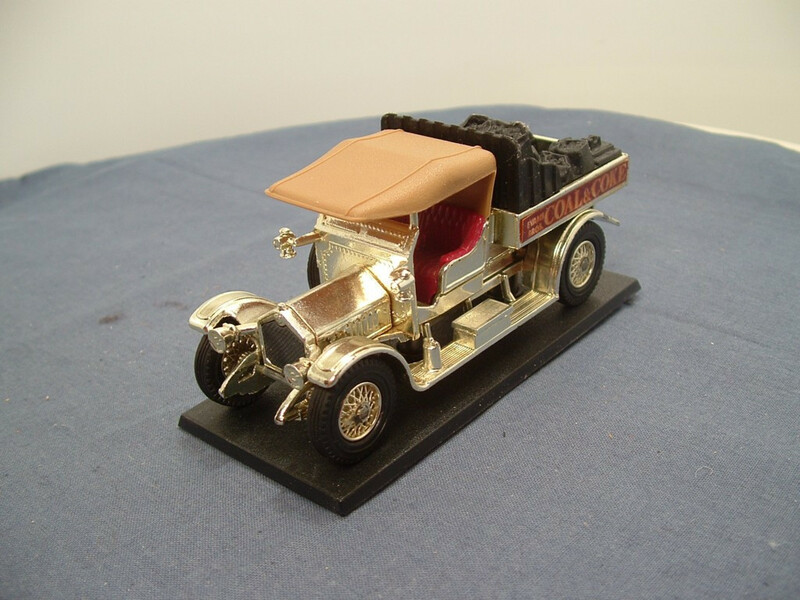 This item was shown in the Giftware Catalogues for 1976-78 (I do not have any later catalogues) and is thought to have been issued post 1976.